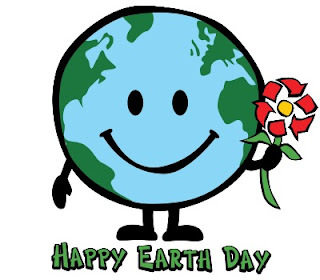 Earth Day is celebrated each year on April 22nd. It marks what most consider the birth of the modern environmental movement in 1970. A time of hippies and protest, lead gas, and air pollution. Up until that time, our government didn’t seem to give much thought to the effects that oil spills, polluting factories and power plants, raw sewage, just to name a few, were having on us, wildlife and the environment. Thankfully, after the idea came to Earth Day founder, Gaylord Nelson, this has changed. Although much improved, it is something we have to work on every day, not just on April 22nd. With this in mind, below are some Earth Day inspired – ways to recycle at work. Shut off lights and computers when not in use. Shut off power strips. Go paperless when possible. Think before you print. Print only what you need. Print in black and white as much as possible. Recycle unwanted catalogs, newsletters, magazine and junk mail. Don’t forget plastic wrapping, plastic bottles, etc. Purchase recycled office supplies when possible. Make it easy for everyone to recycle. Place recycle containers that are clearly marked, in easy to see places. Bring your own containers and utensils from home, whenever possible. Avoid using paper and plastic plates and utensils, if you can. Brainstorm with your fellow employees to come up with more ideas. With everyone’s cooperation, we can make this world a brighter and safer place. Not just for us, but for future generations to come. Happy Recycling! Every little bit counts. Do what you can to keep our Earth around! It is important to maintain this message all year long, not just for Earth Day. Recycling is so easy! These are all great ideas. We need to start taking care of the Earth now before it is shambles for our future. Great article and good message. Glad to know this company supports the environment. My office is big on recycling, but we put a big emphasis on the environment for all of April. It is nice to work somewhere that cares. Earth Day should be everyday! Recycle, take care of the Earth we live on. At my business we try to be very earth conscious all of the time. We actually have something of an earth day once a month to further educate our employees. One company I worked for kept a rooftop garden, and fertilized it with compost from the cafeteria. It was a great place to relax during my lunch break! I also prefer to avoid purchasing products with excessive packaging. There is so much waste with these items and I find I’m mostly paying for the wrapping. I am inspired to do something on Earth day now.